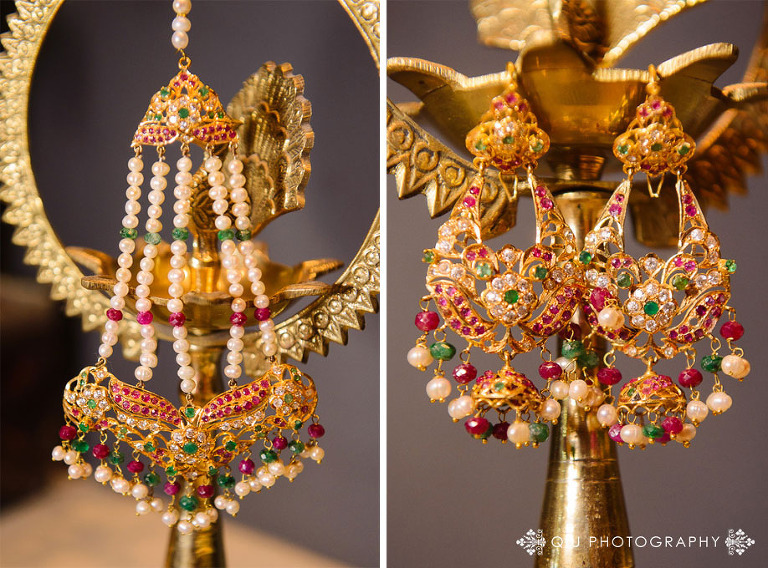 Get ready to feast your eyes on Humaira & Mishaal’s stunningly lavish shendi (shaadi & mehndi) at the elegant Venetian Banquet Hall in Concord. 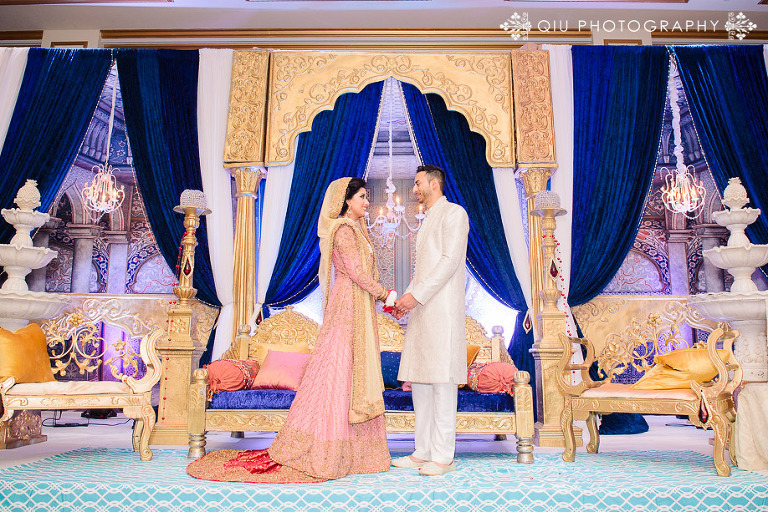 The mughal inspired stage for Humaira & Mishaal’s wedding was truly breathtaking. The royal blue draping, golden structures, ivory fountains and crystal vases all came together perfectly for a regal and luxurious backdrop. All the dinner tables were decorated with vibrant floral and oil lamp centerpieces, creating an elegant and romantic ambience. Humaira, looking stunning in her intricately embroidered light pink and gold bridal lengha, walked down the aisle with her brother by her side. Seeing Humaira for the first time, Mishaal was beaming with smiles as he welcomed her onto the stage. After the nikah and ring ceremony, Humaira & Mishaal’s friends and family performed many impressive dance numbers for the newlywed couple. After the performances were complete, the couple celebrated their newlywed status, dancing the night away with their custom made glowsticks. Humaira & Mishaal, congratulations on your beautiful wedding! 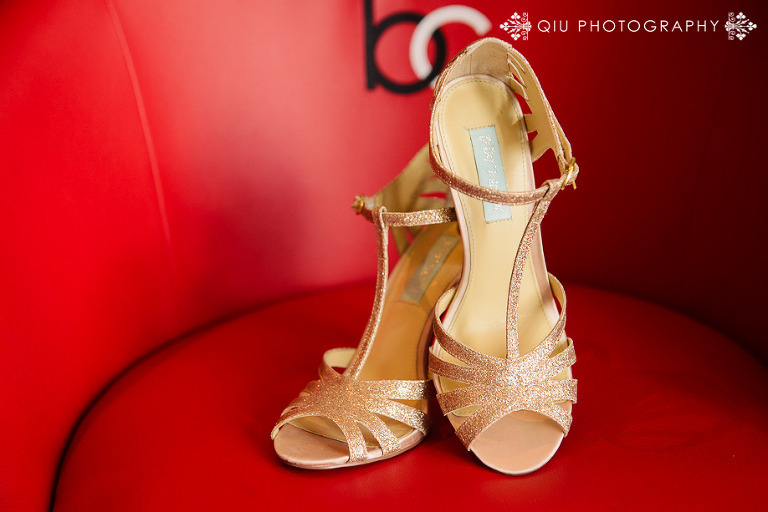 Thank you for having us photograph your shendi! We wish you both nothing but the best as you begin your new life together as husband and wife!